There is so much that you can do with mason jars! The molded glass jars with their metal rings and disc-shaped lids were invented in the mid 1800's and originally used for canning and preserving food. In more recent times, their uses have branched out to crafts, storage, organization, and even home decor. Sure! You can still use them for canning like in the homemade jam recipe shared below. 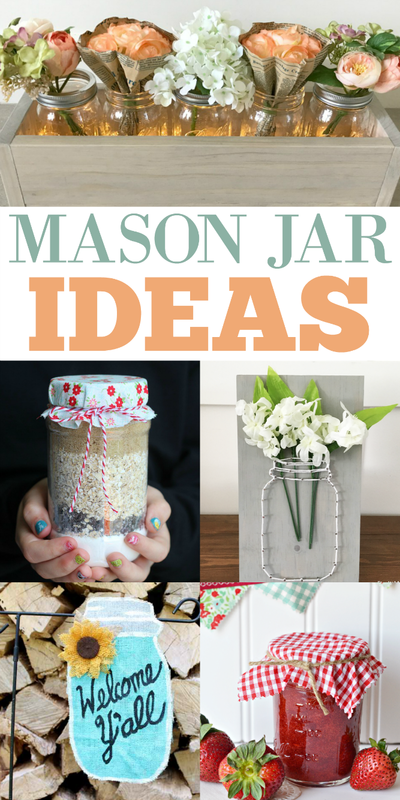 BUT there are so many other fun uses for glass mason jars! In this post, you'll find other creative ideas including some crafts inspired by the simple and timeless jars. Oh, and each one of these makes an ideal gift for family, friends, and neighbors. Whether for yourself or as a gift, enjoy these fun mason jar ideas! Do you have a creative use for mason jars? Share it with us! We'd love to hear about it in the comments below. 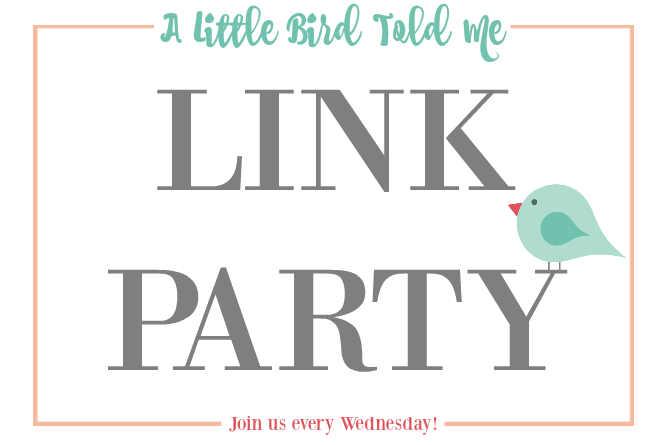 Oh, and don't forget to link up your own crafts, recipes, and family-friendly posts at this week's link party. This Mason Jar Planter Box would make the perfect centerpiece for a table! The flowers could be changed seasonally for a decor piece that could be kept out all year long. So cute! Here's a fun idea that you can get the kids involved with! Be sure to click on over for all the details and the fun printable to go with it. Take string art to a new level with these creative sting art mason jars! Slip artificial flowers through the top of string-drawn jars and they're sure to add a touch of whimsy to your home! Oh, and don't sweat this being too challenging. The ladies over at Find It, Make It, Love It have a printable template for you--making it a super easy craft to try. Welcome all your guests with this adorable flag! I love that it says, "Welcome, y'all!" because that's exactly how we say it here in the South. Made from scratch and canned in mason jars, this jam is simple and easy to mix up for your family. Oh, and don't forget to make a few extra jars to share with others! Thanks for featuring my planter box. Have a great week! I hope you have a fabulous week -- can you believe next week is June, already?